It’s easy to learn how to cook rice at home that comes out perfect every single time. 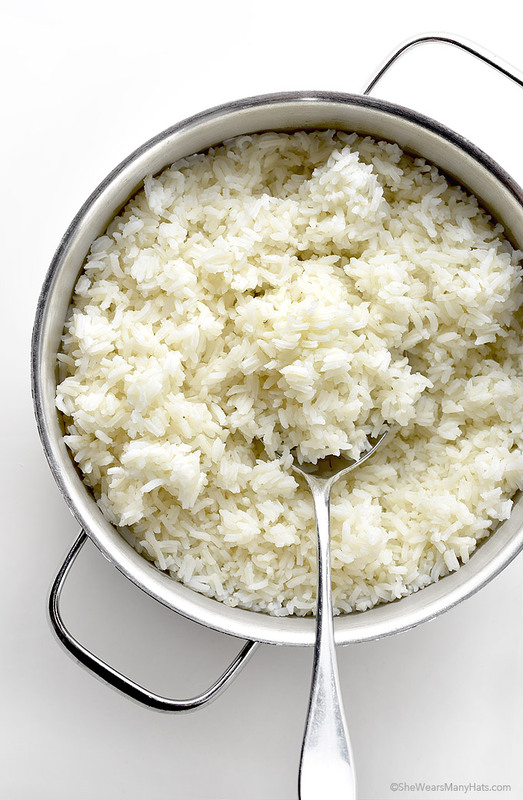 In many cultures all around the world rice is an integral part of the the daily diet. Growing up in South Carolina was no exception. My parents grew up in the Low Country of South where rice was a staple and an ingredient in many delicious classic Southern dishes like Hoppin John, Chicken and Rice, Red Rice, or as simple as one of my favorites, rice and gravy. Oh my goodness, rice and gravy … the quintessential side dish for this Southern girl. If you don’t know how to cook rice, it’s easy! And you don’t even need a rice cooker. All you need it a saucepan with a tight fitting lid, water, rice, and a bit of salt, plus about 25 minutes. And of course some good gravy, if you’re a gravy kind of person. Once you get the process down pat, you’ll be cooking the perfect batch of rice every time. 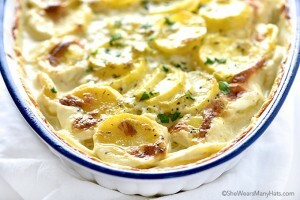 Use a pot with a tight fitting lid and don’t remove the lid at any point during cooking. A few pinches of salt per cup of rice is a nice touch. Not necessary, but one that I would recommend. To rinse or not to rinse … it’s not necessary, but if concerned with extra starch, just before cooking rinse rice in cool water a few times until water runs clear, then strain off excess water. 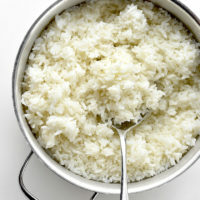 Easy instructions on how to cook rice to serve as a side dish or as ingredient in other recipes. In a medium saucepan with a tight fitting lid, bring water to a boil. Stir in rice and a few pinches of salt, bring to a simmer, cover and cook for 15 minutes. Turn off heat and leave covered for at least 10 minutes. Fluff and serve. *If desired, rinse rice in water and strain. If I don’t bake rice, I cook it like pasta. Bring a large pot of water to a boil, add rice, check at 8 minutes, longer if needed, drain. Simple! If your rice tends to turn out sticky, here is a fail proof method. Use a double boiler, with the water simmering in the bottom pot, in your top pot add 1 cup rice and 1.5 cups water with your salt and a pat of butter, stir and cover with a tight fitting lid. Do not peak for 45 minutes, turn it off and let it set for 5 minutes. If you have the time for this method, it has never failed me for 35 years of cooking. 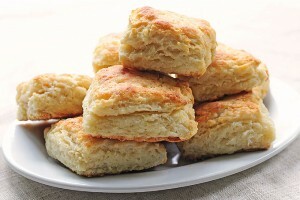 The original recipe came from an old Jr. League cookbook in Alabama. 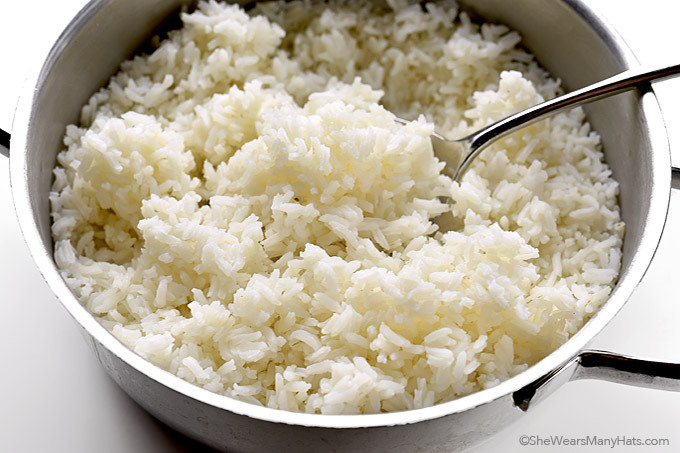 Do you add 1.5 cups of cold or boiling water to rice in the top pot?